Finally, I can now share with you my first-ever peeling experience. Pretty flowers by the lobby. Waiting for my appointment. Chilling at Clarity's pretty lobby. At Clarity, Spanish Peel is always conducted by a dermatologist. Intensive peeling is a tricky treatment so it's best that you undergo an intensive peeling procedure under the careful hands of a doctor. It's not enough that you're attended by a professional, you don't want to be "burned". You want to be pretty and radiant, hence being handled by a doctor is the safest way to go! First the face is cleansed by a cotton swab dipped in alcohol. I know! I was baffled too! I had no idea that you can use your basic isopropyl alcohol on the face! Apparently, you could. However, I'm sure it's not for daily use. The face has very delicate skin which you have to care for properly to avoid early signs of wrinkles or sagging. 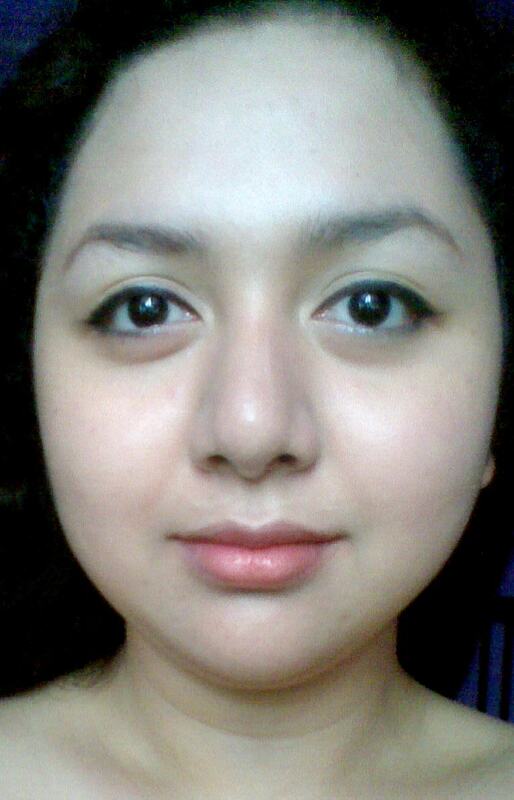 I recommend using Moringa-based cleansers or toners on your face. Moringa better known as malunggay is rich in anti-oxidants that effectively beautifies the skin. You can try using Hype's Moringa cleanser, as endorsed by the flawless Isabel Oli, or opt to using Human Heart Nature's all-natural Moringa cleanser, as endorsed by none other than Bond Girl, Rachel Grant. Frosted face :) Redness in some parts. I cried a little during the procedure. I was fidgeting and was escaping to my happy place to forget the "burning sensation" that was going on. It was my first time, and the doctor said it's a typical reaction to the formula but she reassured me that she was being kind on my skin. There's a little pain involved in intensive skin peeling, but the results are worth it. Check out my red spots! That's a photo of me right before leaving Clarity's private rooms. 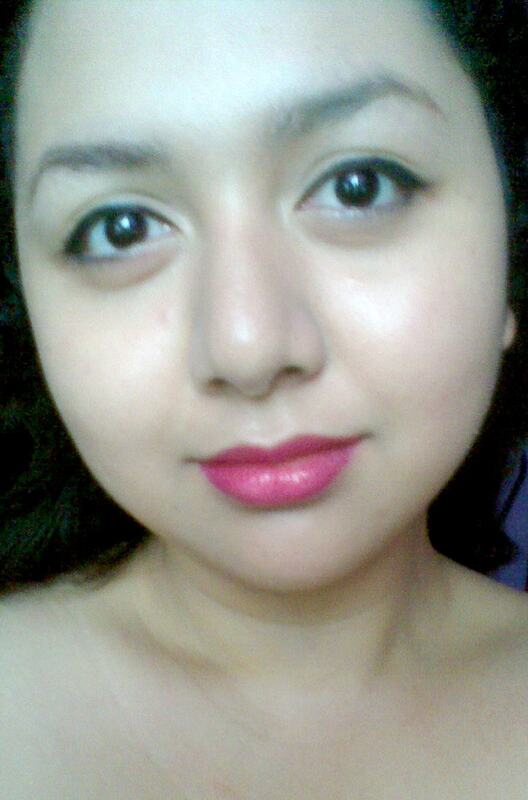 Rosy cheeks much :D Anyway, if you like my lipstick, that's from The Face Shop's Face It lipstick line. SUPER GREAT lipstick! :D Try it! After-peel care was emphasized by my doctor. Since I would be peeling in a few days, revealing a new younger layer of skin, I have to care for it with sunscreen. SPF 50 is recommended It was a good reminder because I tend to take my skin for granted since work often leaves me indoors. The doctor said even if we're indoors, we should still wear sunscreen (peeling or not peeling) to delay skin aging. Well, that's enough reason to be obedient! For best results, one can undergo Spanish Peel every four to six weeks. Although based on my experience, the post-procedure peeling was pretty much very even, a more consistent peeling regimen would result to a more even-peel and a more radiant glow on the skin. I didn't feel much the day after my procedure. But come day two, my face felt coarse and tight, which was a good sign because it means my old skin is being lifted already. Day three, the peeling began. I looked like I went swimming! The peeling lasted for seven days. I found it inconvenient because I had to go to work in that! haha But after the peeling ended, my skin felt soooo smooth. I love my new skin now! Spanish Peel is a feel-good treatment. Perfect for those who want to prep their face for a special occasion! Just remember to reserve at least two weeks prior your special event so you'd face the crowd smooth and a little bit more perfect than the usual! I recommend Spanish Peel to those who want to even out their skin tone, reduce acne scars and to those with oily skin and large pores. Special thanks to Julius of Clarity. Oh, and thank you to Percy to who was so understanding and efficient in scheduling my appointment. I've been having a pretty crazy schedule lately and I had to cancel and rebook my schedule every now and then. I felt so sorry for causing Clarity any inconvenience but all throughout the staff were so nice and understanding. Thank you! Special thanks to Team PRC! Visit Clarity now and enjoy their many services! Magkno nagastos mo sa lahat? including the sunblock and all other medications together with the peel? thanks! Thank you for the compliment. Hope you give Spanish Peel a shot... before summer sun heats up! wow! great improvement in ur face! how many sessions did you have when you took that last photo? Was your skin that good right after the first session? meaning, right after a week? and is it Php 3,500 per session? wow! great skin you got there! how many sessions did you have to have for that last photo u took? was ur skin that good after just one session? and also, is it Php 3500 per session? how many session do they require u? hi... in which branch u did ur spanish peel? hi! have you tried any facial treatments? I don't know kasi kung anung klase yung commonna sinasabi ng iba na "pa-facial ako", if that's "facial" thingy is the most basic of all. But regardless of whatever treatment it is, gumagamit ba sila ng tools(stainless). takot kasi ako dun sa mga nagpapantal eh nagpapafacial. :) thanks for answering my concer. maybe what your friend are referring to with "facial" is the regular deep facial cleaning. normally it's cleansing, brushes, pricking (the one where tools are used). It is essential cause its when blackheads, whiteheads and any other clogged pore is declogged. Normally there's slight redness right after but it should subside. if your friend experienced prolonged redness, did she wet her face after the facial? cause you shouldn't within at least 12-24 hrs. some people can also be very sensitive so that could be a reason. but normally a basic facial is harmless :D u should try it! Wow! You're so beautiful! And thank you for sharing your beauty regimen. Hi! How long did the good skin lasts? Until after how long did you find the need to have it done again? Of all the peelings, i guess this is the most costly cause they suggest to have it done weekly for belo (P5600) and monthly for clarity (P3500) considering the price per session. I know the result is good but having it done twice a year at most is reasonable for me. Hehe.